This weekend the nominees from each state travelled to Sydney to take part in competition for Australian Air League Cadet of the Year. 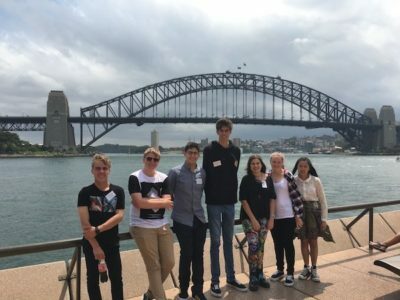 Today the cadets got to enjoy the sights of Sydney before travelling to Camden to meet the Federal staff and Council members. Tomorrow they will enjoy flights from Camden airport and will also take part in selections to determine the male and female cadet of the year 2016.